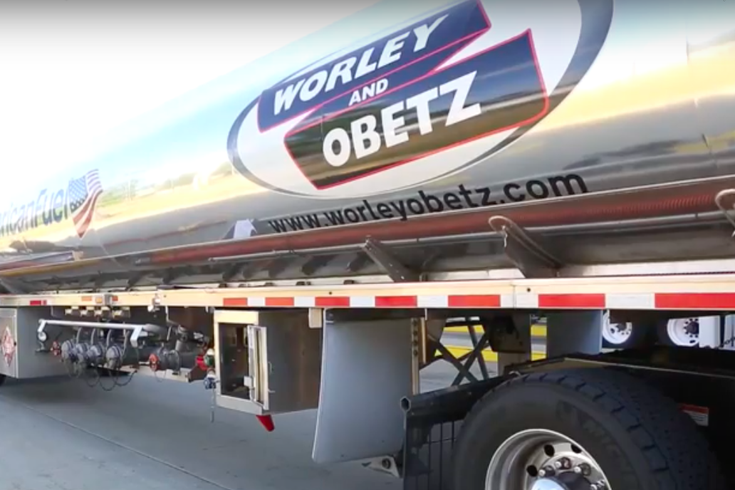 A truck for Lancaster County energy provider Worley & Obetz. May has been a bad month for Worley & Obetz. The Central Pennsylvania energy provider has had more than 100 layoffs amid an investigation into possible fraud. The company's CEO briefly disappeared a couple of weeks before the news broke. "This is an inconceivable nightmare for everyone," the Lancaster County-based company said in a statement Thursday. "We are doing everything we can to make this less traumatic for our employees." The company said it let go of 45 employees in its various Pennsylvania and New Jersey offices on May 21 after "potentially fraudulent activity" was discovered. On May 25, a large vendor notified Worley & Obetz it was moving to another supplier, triggering 60 more layoffs. Those laid off will be paid through June 6, be eligible for unemployment compensation, and receive recommendation letters and references for other employers, the statement said. Worley & Obetz said when it discovered the fraud, vice chairman Seth Obetz liquidated his life savings to keep the company financially viable. The company pointed out in its statement that the announcement comes about two weeks after CEO Jeff Lyons went missing. According to LancasterOnline, Lyons disappeared after leaving his Manheim Township home at 6 a.m. on May 15. Police said Lyons, 57, did not take his wallet, credit cards or any personal belongings with him and missed multiple business appointments, while family members and co-workers were unable to contact him. Lyons was located on May 17, police said. He was discovered in Minnesota. Neither the company's statement nor local media reports have identified Lyons as a subject of the FBI's investigation. The company's statement said it is "confident justice will be served." "It is both a humiliating and inspiring event," the statement said. "But it is an event that will pass, and we will all get through it one way or another."